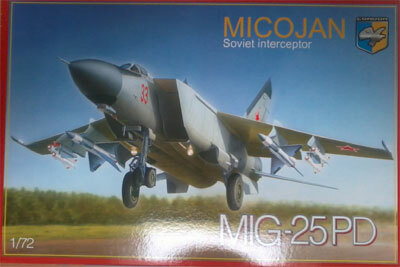 The Mikoyan design bureau in the Soviet union developed a very high speed interceptor in the Mig-25 series of aircraft with NATO codename "Foxbat". 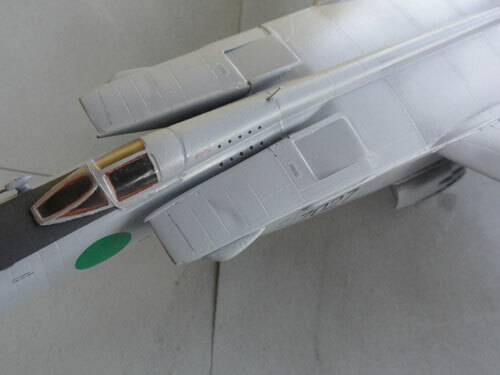 On seen on this website, previously a 1/72 scale CONDOR kit MiG-25P was made of the Soviet VVS. 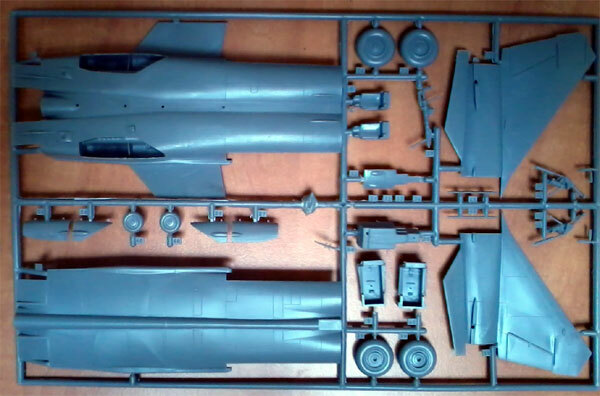 Another Condor kit was made, of the MiG-25PD kit #72012 which I bought for about EURO 15,-. 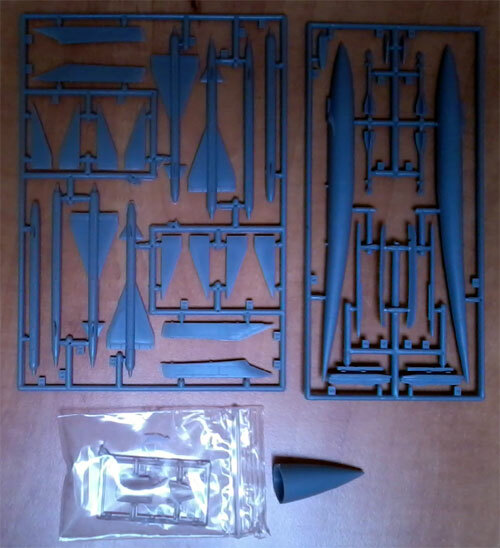 This kit is obviously very similar to their other MiG-25P kit with about 95 injected moulded parts. 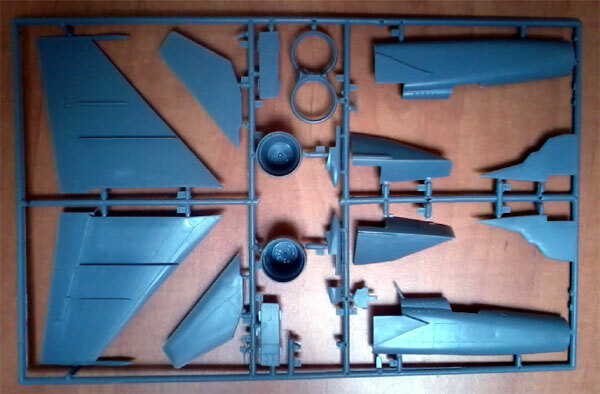 There is an extra sprue with parts for a large pod below the fuselage and ECM and Warning fairings and also 4 small ATOLL ? missiles. The kit has recesses panellines, but you need to remove quite some flash. 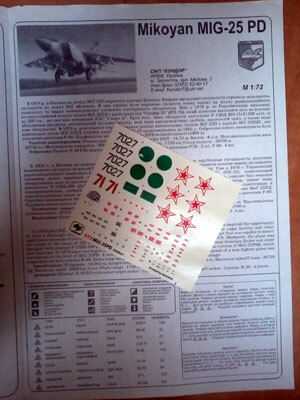 The decals are good and provide markings for the Soviet AF and also Libya AF, but the instructions are only for the Soviet plane. There is also some stencilling on the sheet. 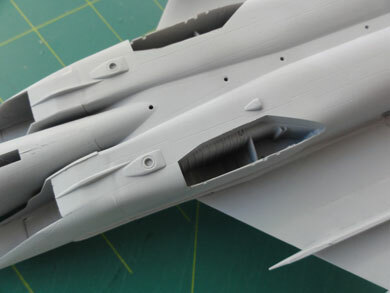 Construction breakdown is not as usual with most models, as the vertical tail and fuselage are single parts, but this hides a number of seam lines. 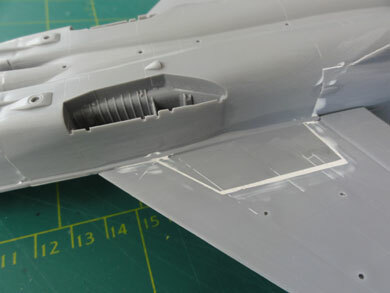 The rest can be assembled as shown, but you get some areas to use filler especially at the undersides. 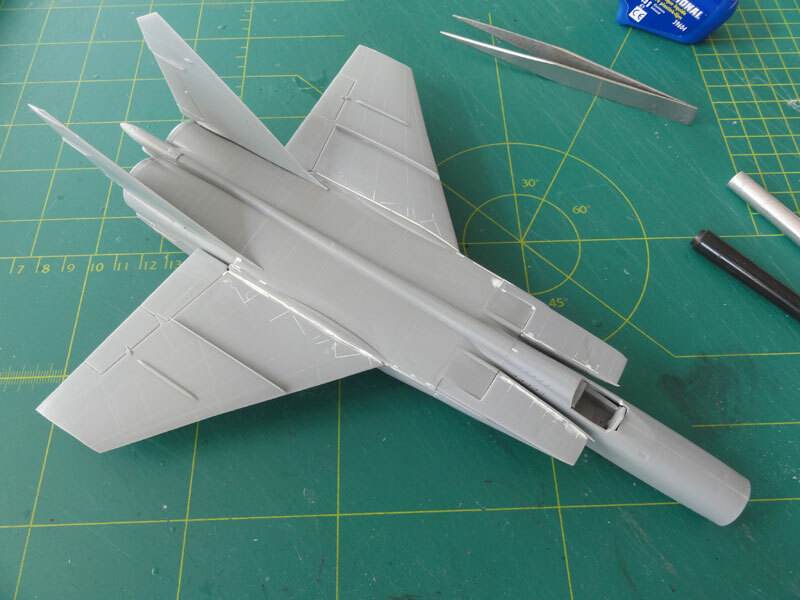 The lower wings panels fit better into their upper wing halves after removal of a bit of plastic at their edges. Filler and sanding is still needed however. 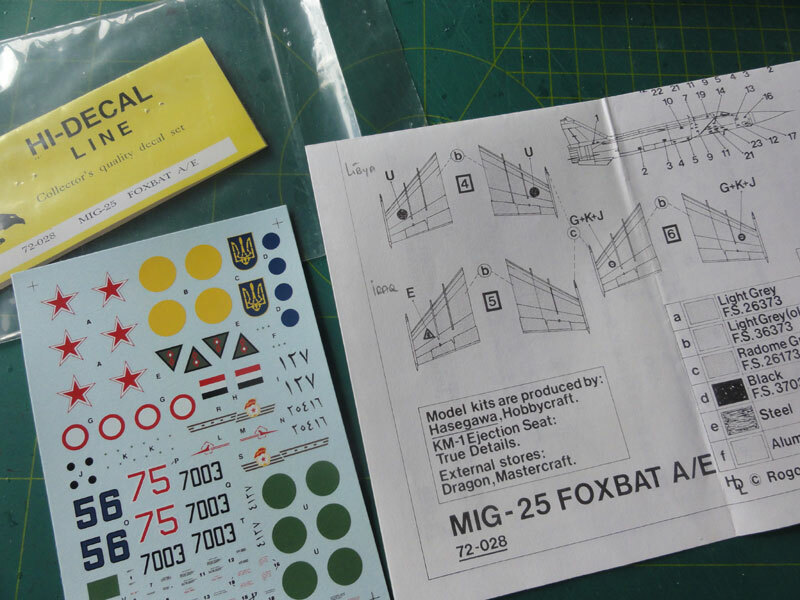 The wing tips have special pods (correct number is #3) for the MiG-25PD and these are in this kit. With a razorsaw make straight tips and set in place the pods. 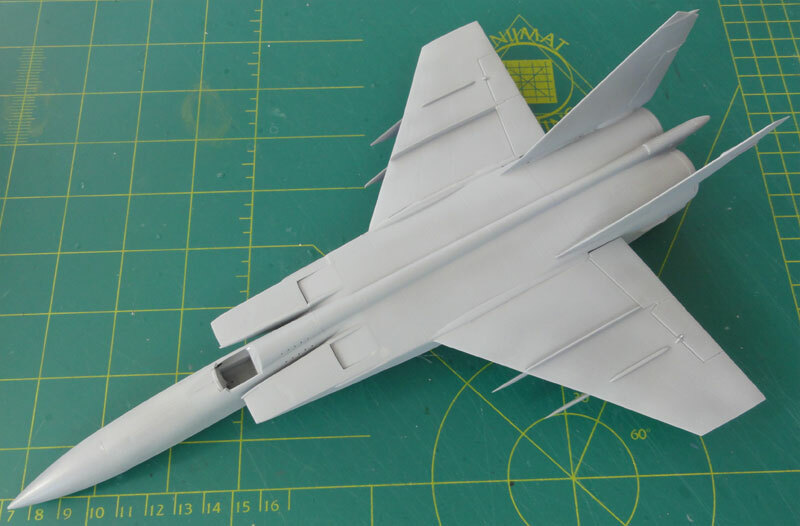 The wing-fuselage joints needs some filler and sanding. The large lower pod (STEP B) does not fit very good (and not further used). The intakes have inside injection pin marks that need filler and sanding. 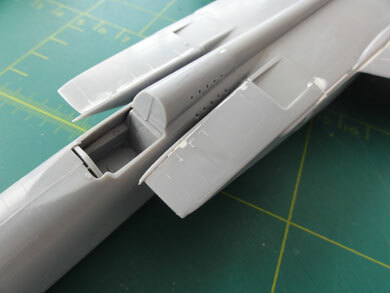 Also the intakes are not very deep, so I cut slots in the main fuselage and made a tunnel form some plastic card. The exhausts are deep and fine. The small gaps inside the tails are filled with white glue. The nose cone fits well. Do not forget some weight in the nose. 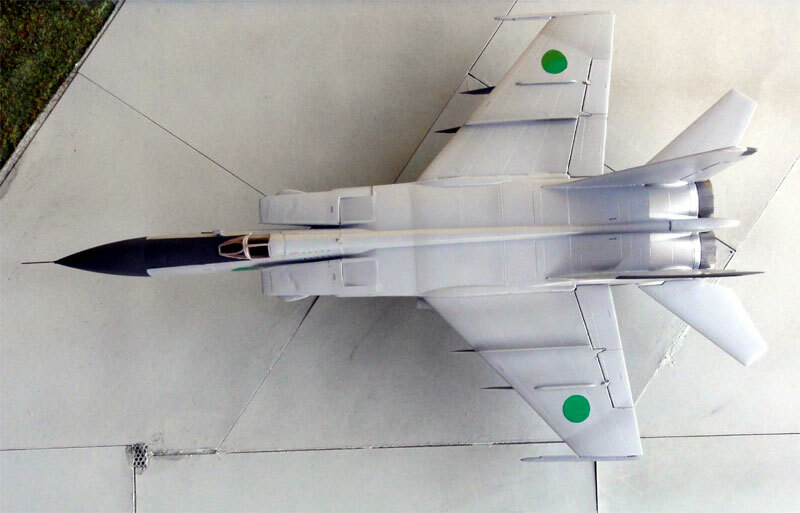 The lower nose fairing #68 is not always seen on photos I believe and also the tiny intake fairings #67 on the MiG-25PD. 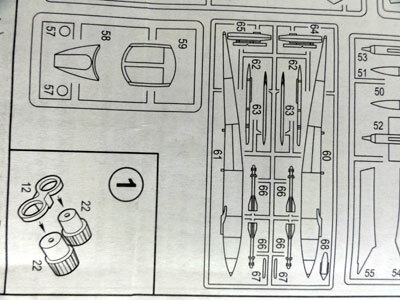 The same applies for the wing fences parts #63, but maybe I am wrong as these fences may be different on a -PD. The model turns out pretty good after some sanding. (Add the gears obviously as last items. These are detailed well enough for this scale, but the nose wheels need filler and sanding). The model got a coat of light grey first with the airbrush to check for any gaps. Any flaws were corrected. 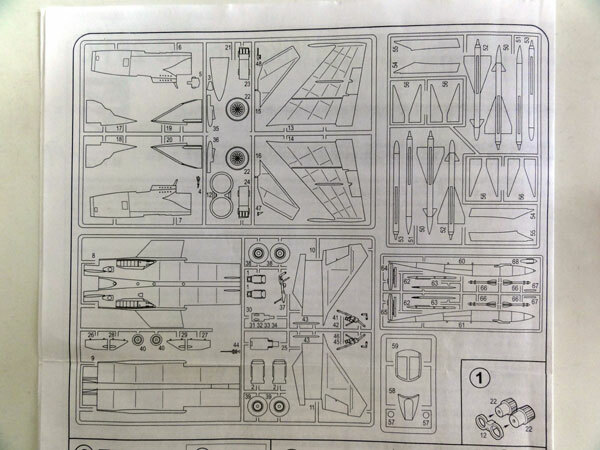 The CONDOR instructions are vague regarding the small stencilling and the Libyan Air Force scheme is not shown. 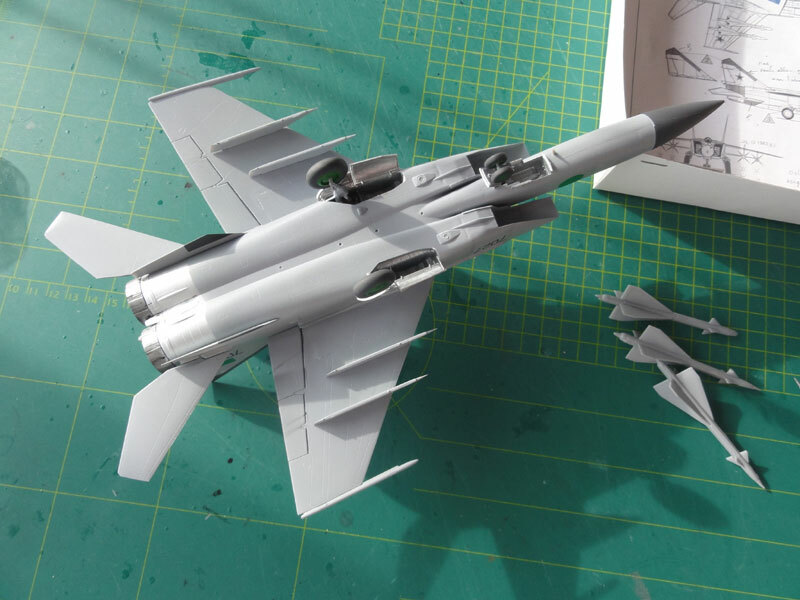 The colour I picked for the overall grey finish is approx FS 36375 (Light Compass Gray), for which I used GUNZE SANGYO acrylic H308. Some paint was made bit lighter by adding acrllic white and some panels roughly airbrushed to show some differences in shades. This adds realism to the finish. Some areas got a coat of metallic and some areas were masked and got a dark grey finish. 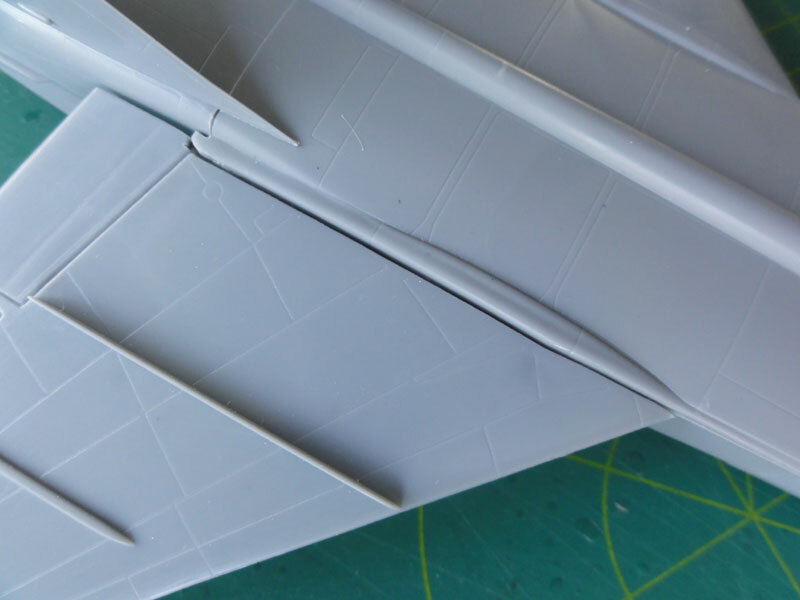 The leading edges of the vertical tails sometimes show a dark grey edge on the left tail only. 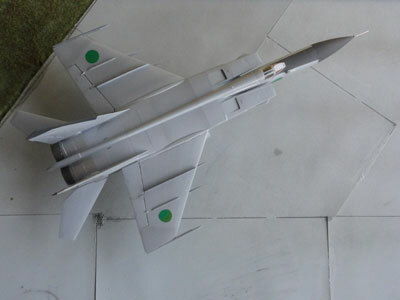 The undercarriage was added after the model had been airbrushed and the decals applied. The wheel hubs were painted green using XTRACOLOUR X628 green enamel. The canopy was set closed but its framing was painted with a tiny mid-center frame on top. Inside the framing a bit of "copper" coloured edges were painted. The nose pitot tube was replaced with a metal needle. 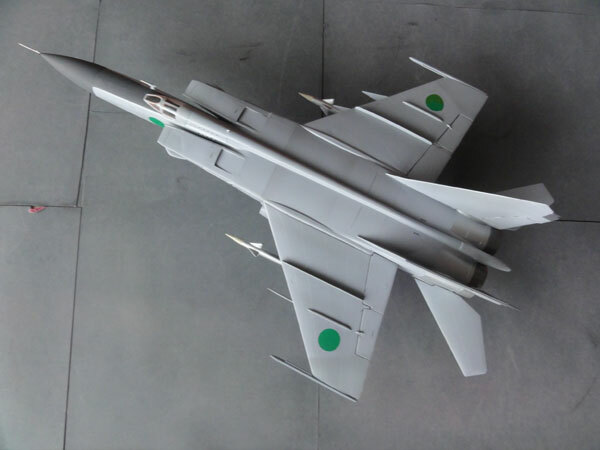 After all parts and decals were set, the model got with the airbrush a semi-matt coat using a mix of Johnson Future with a few drops mixed in of Tamiya matting agent "Flat Base" X21. 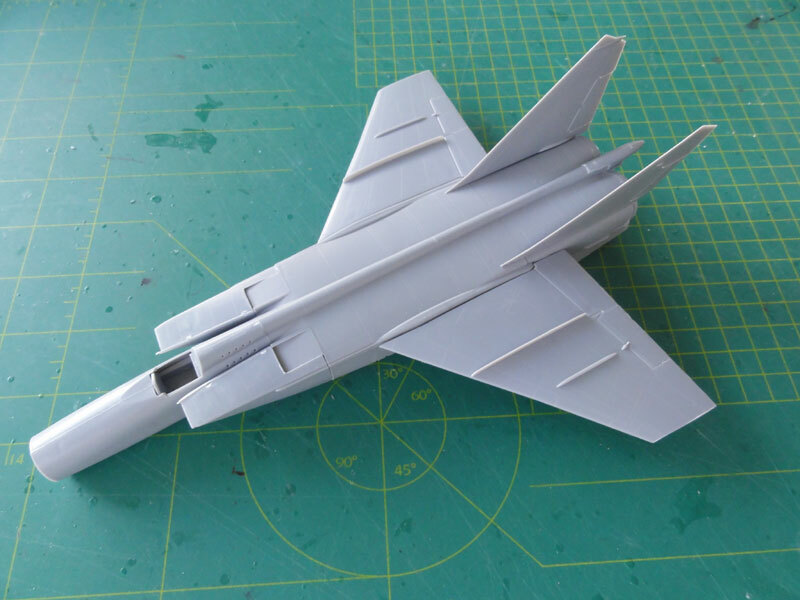 (mask off the canopy when airbrushing this obviously). 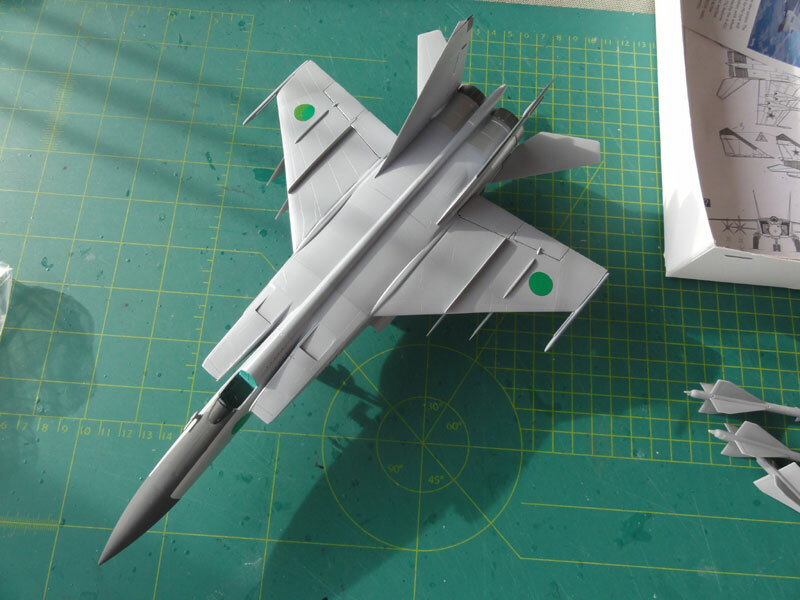 That completed a nice model of a MiG-25PD of the Libyan Air Force as used in the nineties. The Royal Libyan Air Force ("Al Quwwat Alijawwiya Al Libiyya") was established in 1962 with a few aircraft like the T-33 and C-47 transports. The first of F-5 fighters arrived in 1967 and at the time there was a US base at Wheelus (near Tripoli, later Okba Ben Nafi base). The military coup of 1969 led to large changes and Colonel Gadaffi who was in fact the single ruler oriented more towards the Soviet Block. 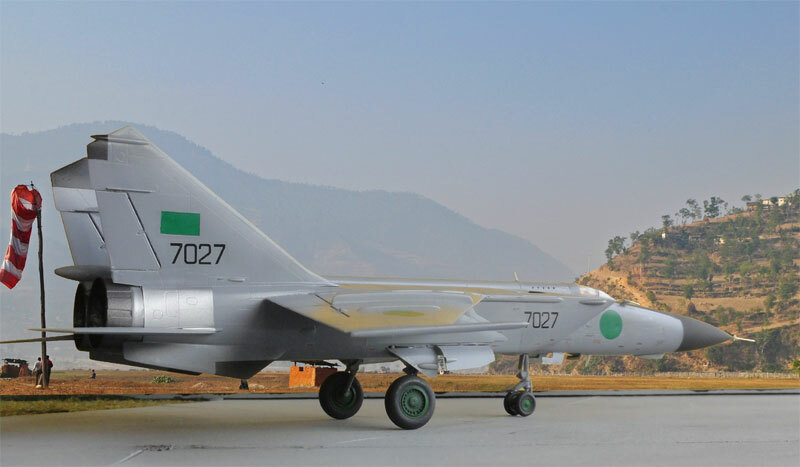 Aircraft acquired were types like the MiG-17, MiG-19, MiG-21, MiG-23 and even MiG-25. Also Tu-22 medium range bombers were used. Libya was an important oil supplier and also relations with France led to the delivery of several Mirages like the Mirage 5 and later Mirage F-1. Hundreds of combat aircraft were operated. Relations with other countries were difficult as Gadaffi supported various terrorist groups and an embargo was enforced by several countries. 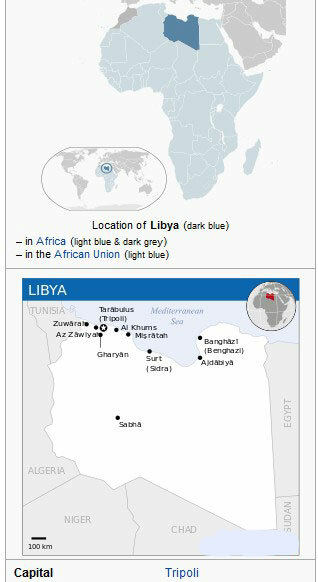 After the collapse of the Eastern Soviet block in 1990 in Libya there came a civil war. The various conflicts were dramatic and in October 2011 Gadaffi was killed. Now there are several groups in Libya claiming "government" and large problems exist in this unstable region with emigration, terrorism and oil delivery. It is unclear what the status is of the armed forces.